Motivate even the most reluctant readers with this collection of read-aloud mini-plays with parts written at different levels. 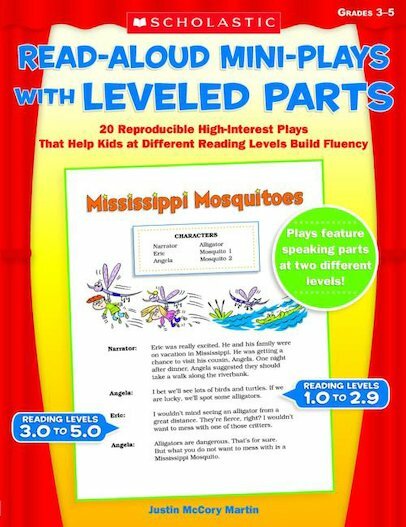 Perfect for building oral fluency, these plays cover high-interest topics, such as school situations, tall tales, and mysteries. Includes background and suggestions for building fluency and comprehension. For use with Grades 3–5.